The US spends how many billions of dollars a year, for 100 years, training our kids by teachers writing on chalk boards to a class of silences kids. And this 8yr old explains in a sentence why he feels that he and his laptop (and the Internet) are what he needs to educate himself. I believe in guidance, curriculum, mentoring, training and supervision – but maybe those could be added to a very informal learning paradigm (Montessori as a baseline maybe?) — and out produce the current failing system. “When it’s time to work on our laptop, I get excited because maybe we get to have free time. We might go to a fun Web site. Sometimes we can learn more information. We learned about frogs and toads. QR Codes – What’s the future of them for eLearning? 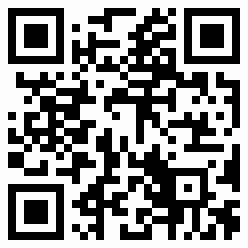 Ok, so I learned at DevLearn 2009 what a QR Code was. Seemed interesting, that Google left small sheets of paper on various chairs in the room with codes on them. I cannot read them with my outdated TREO but at least some people with iPhones and Droids were able to grab the URL embedded on these codes in about 1 second. Ok not bad. Robbe and some colleagues are already looking into how to use these codes for possible eCommerce eLearning purposes. So I went there, created my first QR Code, and copied it below. The crux of this story is the idea Robbe gave me — why not place this image on all my MOO cards as well as use it for a signature on every blog comment, Google Reader Note and possible link to it on each Twitter. I wonder how far this could reach? 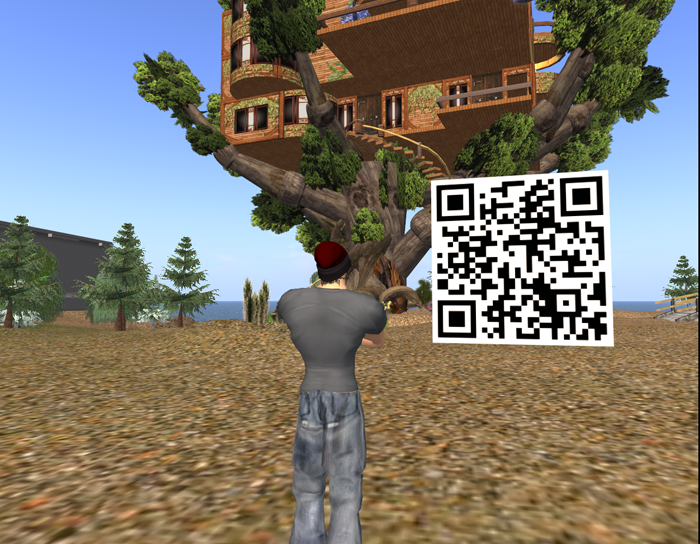 Breaking NEWS — My QR Code has found a home in SECOND LIFE – thanks to Robbe. And it works. Just scan it with your phone, and you will be transported my Blog, crossing Virtual Worlds, mobile devices, and Web destinations — all in a single second. Gotta love Technology. Kindergarten used to be about play and stories and friends and sharing. More recently, it is about doing worksheets and preparing to take tests – i.e. it is becoming more like school. Maybe this is bad. Why can’t school be more like Kindergarten instead? Of course the next question I would like to pose, is why can’t adult work be more like Kindergarten, and involve lifelong learning and more games, play and stories? One step at a time though. Even the US Military states that they require innovation and creativity – “We seek to foster a culture of innovation.” National Defense Strategy, March 2005 – but yet, they continue to acquire/purchase standard, run-of-the-mill training and education products, which perpetuate this system of regimented, standardized, one-size-fits-all process. Spiral learning process where students imagine what they want to do, create a project based on their ideas, play with said creations, share their ideas and creations with others, and reflect on their experiences — all of which leads them to imagine new ideas, processes and projects. This is ideal for the fast-paced society we live in today we faster and better solutions are required just to keep pace, and firms are pressed by Market Conditions for better and cheaper and faster solutions daily. Maybe we could follow the “prototyping” cycle which ourbest Kindergartens are using! Simply put, if we could adapt this learning process, and utilize different types of tools, media and materials, many adults could become lifelong learners, and many organizations would benefit from the tremendous increase of productivity as a result of the increased utilization of creativity and imagination. I wonder if any organization, say with 2.5 million active members with a clearly defined mission across multiple complex Areas of Operation could ever benefit from this type of Transformational Training and Education – 21 Century Tactics, Techniques and Procedures? Is Gaming ready for prime-time Training & Education? This is a one-across-the-world summary from ten (yep, count’em 10) different publishes reports, each of which are attempting to help readers and evaluators decide just how to leverage what most training professionals think is the next major addition to the training toolkit — that of Gaming and game-like training into the curriculum. So, without much more fanfare, here are my selections from these studies. Feel free to comment back on this blog about these quotes, or if you just enjoy taking part in some dialogue on this topic. domain – and this is evidence of ‘active learning’. explicitly valued, in the school setting. PC-Based Simulations and Games” – Amy Alexander et al. this technology to simultaneously play required training scenarios. scenarios, as do lightweight simulators. dangerous training methods, often relying on real-world technologies. among team members, and the strategic aspects of many tasks. the game help them meet these instructional objectives. Game-Based Learning is situated in the constructivist arena. participants in acquiring knowledge and skills. desired, the goal structure of a simulation is non-linear. preparing students for innovative jobs of value. If computer games are intended to enhance performance on tasks at work or in school, i.e., are intended to transfer, it is vital to identify the cognitive processes they require. Evidence has been found of transfer from games to targeted task performance (Gopher, Weil, & Bareket; 1994; Fery & Poserre, 2001; Subrahmanyam & Greenfield 1994; Okagaki & Frensch; 1996; Moreno & Mayer, 2004, 2005; Mayer, Mautone, & Prothero, 2002). However, the extent of game playing may matter. Greenfield, Brannon and Lohr (1994) found that longterm practice with a video game improved spatial performance, but that shortterm practice did not. Results suggest that games and simulations improve a variety of cognitive capabilities. Furthermore, there is evidence for positive transfer fromactivities required by games and simulations to real world task performance.This transfer appears to depend much more on similarities between cognitiveand attention processes than on physical similarities….It is clear that there is more enthusiasm about the opportunities for learning provided by computer games and simulations than there is for conducting empirical studies investigating whether these opportunities are actually realized….Finally, these results reemphasize the importance of a team approach in designing games. In addition to including individuals with expertise in game design, cognitive task analysis, and ISD, it is also important for developers to be familiar with emerging research results about the effects of games and simulations. Assessing outcomes in learning environments is very important, and we believe it is possible to successfully assess experiential learning environments. Outside of a very few studies, however, this has not yet been consistently accomplished. Less optimistically and more pragmatically, the most reasonable approach to using any experiential method is whether or not it appears to be efficacious in the environment designed by the instructor and at the same time provides a usable way to assess student learning. Even if we do not adhere to the strictest standards, users need reasonably objective ways to assess student participation in experiential learning environments. These assessments should be free from social desirability problems, relate to agreed-on learning objectives, and provide means for individual assessments of participants. Constructing large test banks among other things would be appropriate. Such tests should provide reasonably varied and validated items, with at least face validity, and be arranged topically or by generally agreed-to learning objectives. Such tools would permit users to assess game impact on each participant in relation to instructor-defined intentions. This would allow for ease of use in constructing parallel forms for use in pretesting and posttesting by instructors. A major fieldwide effort should be undertaken to collect data on test administration so we could develop profiles for specific simulations and exercises. If the data suggest a given simulation or exercise does what it purports to do, that would be a good enough beginning for now. We need to develop standards of reasonableness. Digital games are clearly an important part of most young people’s lives today. Recent figures suggest that nearly 70% of children play computer games every week, and mobile games play is increasingly common, with 68% of children playing games on their phone every week (Facer 2001). Central to the argument about what video games offer to learning is Gee’s assertion that semiotic domains are shared by groups of people, described as ‘affinity groups’, sharing knowledge, skills, tools and resources to form complex systems of interrelated parts. Within an affinity group, learners gain resources from fellow members that equip them to solve problems within, and perhaps outside of, the specific domain – and this is evidence of ‘active learning’. What is key to most research into games and learning outside school, then, is a sense that playing computer games is encouraging young people to learn indifferent ways from those often in evidence, or explicitly valued, in the school setting. “From Gaming to Training: A Review of Studies on Fidelity, Immersion, Presence, and Buy-in and Their Effects onTransfer in PC-Based Simulations and Games” – Amy Alexander et al. • Gaming technology is often designed for distributed use over the internet or local area network. Thus, military trainees worldwide can use this technology to simultaneously play required training scenarios. • Gaming technology often provides trainers with control over the scenarios, as do lightweight simulators. • Like simulators, games have the capacity to emulate the real world, and so provide opportunities to train with some realism, but out of harms way. • Both game technology and lightweight simulations can be implemented in a low-cost manner and allow for wide usability and private development. The objective of training using games and simulators, of course, is to achieve greater positive transfer than slower, more costly, or more dangerous training methods, often relying on real-world technologies. In a military education setting (Woodman, personal correspondence), two groups of military officers participated in a training exercise in two virtual environments in which aspects of command and control were to be practiced. The first was a realistic WWII-era military environment, while the second environment was based on the modern military. While the underlying training goals and design were the same, participants argued that the WWII environment was not adequate for training because it did not correspond to their experience. Assuming that the resource capabilities and communications apparatus were exact analogs between the two conditions, the identity of the enemy and the characteristics of the avatar uniforms should have no bearing on training impact. Still, these characteristics were important to the participants, and these seemingly small details could prove to be big impediments to training. Based on our literature review, there is high potential for lightweight simulations, particularly those based on MMPG technology, to be effective mechanisms for military training because they can replicate the critical realworld elements. This is especially true for training the cognitive skills required for tasks, the coordination and communication among team members, and the strategic aspects of many tasks. Instructors should view instructional games as adjuncts and aids to help support instructional objectives. Learners should be provided with debriefing and feedback that clearly explains how their experiences with the game help them meet these instructional objectives. This report summarizes the available literature in the field of game-based learning and specifically how it relates to teaching in the classroom…For the purpose of this report, 42 major studies in the field of Game-Based Learning (GBL) over the past 20 years were reviewed….These reports cite publications such as Menn (1993), who argues that only 50% of what is watched is learnt, 90% of what is experienced is mastered, and Prensky (2006), who suggests that students will soon be teaching themselves. Levy and Murnane (2004) suggests that although schools focus on topics such as math and literacy, soft skills like communication, collaboration, and problem solving are not taught and these are skills that industry requires. Klopfer (2008) advocates education games as a method for teaching soft skills by allowing the students to experience learning through role-play and games. This teaching methodology is known as constructivism and Game-Based Learning is situated in the constructivist arena. One of the main barriers to the introduction of video games into the curriculum is the ability of the teacher to integrate the game into the topic. Egenfeldt-Nielsen (2006) concludes that the role of the teacher is crucial in achieving the learning outcomes from GBL, be it declarative or affective. While effectiveness of game environments can be documented in terms of intensity and longevity of engagement (participants voting with their money or time), as well as the commercial success of the games, there is much less solid information about what outcomes are systematically achieved by the use of individual and multiplayer games to train participants in acquiring knowledge and skills. In terms of goals, however, games and simulations differ. With games, once a goal is achieved, it cannot be repeated without intentionally reverting to a prior game state or restarting the game, that is, the flow of a game must be purposefully interrupted. In a game comprising multiple goals, achievement of one goal results in commencement of work toward the next goal or set of goals. Therefore, with games, the goal structure is linear. In contrast, simulations have non-linear goal structures. With simulations, the goal is to achieve a desired output state or simply to examine output states, based on the manipulation of input variables. Once the goal is achieved, the player can continually make modifications to the input variables, examining their effect on the output. Therefore, because this process can be repeated as often as desired, the goal structure of a simulation is non-linear. Our position is that games themselves are not sufficient for learning, but there areelements in games that can be activated within an instructional context that mayenhance the learning process (Garris et al., 2002). In other words, outcomes areaffected by the instructional strategies employed (Wolfe, 1997). Educational games have become the lightning rod for learning and preparing a future skilled workforce. Both the people, who argue against and for games agree that learning is possible, but what is learned is another issue….We discuss the strengths and weaknesses of existing research as well as point to areas for future research. In particular, we draw attention to the lack of attention paid to the demands of subject matter and argue for a greater emphasis on the development of technological pedagogical content knowledge (TPCK) in the design of learning games. New York Times reporter, Thompson (2006) noted that games are a force in society for making people personally become experienced about issues that demands their attention, but he also questions if it trivializes important causes. In his interview of games proponents such as Henry Jenkins and Ben Sawyer, they warn against claims because research in game-based studies are so fragmented, though some good results have been documented. Games may afford a lot claims for learning that have been argued, however, empirical studies in authentic settings needs to be done so that these claims are validated. Like Squire (2002), Williams (2004), the review by Mitchell & Savill-Smith (2004) and Jenkins (Thompson, 2006) indicates, more and better research is needed in game-based learning….Without appropriate research and methods, games for learning will not advance because there would be no way to assess the effectiveness for learning and preparing students for innovative jobs of value. How does Twitter help – just take a look. So I have been pondering how to write this post for more than 4 weeks now – during March/April everyone I was talking to and emailing were considering the fate of Blogging during this age of Twitter and Facebook. Well, I for one, sure think that LinkedIN has it all over Facebook for serious business contacts and informal learning opportunities – while Facebook connects people to those high school chums whom they have not spoken to for 25 years….and did not really need to reconnect to anyway. So where is Twitter in my opinion – well, I have tried to ponder its possible use as (1) a learning delivery system, as (2) an ad-hoc un-conference creation system and (3) maybe just the telephone, but without long distance charges? So in order to provide a little substance to my claim (which I am about to make) – I have captured just a smattering of 25 twitters from my measly collection, during the last 5 days – suffice it to say, I only follow 44 other people, which is a tiny amount in the scheme of things. What I want to prove is that there is a really valuable thread out there in Twitter-Land if you simply look for it, and chuckle mildly at the posts about the pool overflowing, or the dog eating the dinner, or how little rain someone had in Orlando FL. Call that background information, as it’s not noise really – it just as flavor to the stories which are about to be told. And below, look at the stories being asked about and told – truly, a better investment of my time each week than sitting through 4 hours of online graduate courses in order to get a PhD in Distance Learning or Applied Gaming or Strategic Management or whatever the case may be. There are some really insightful comments made in 160 characters, and some links which prove to be more valuable (and timely) than those contained in Newsweek, Fortune or Wired magazines (each of which cost money, but worst of all, they arrive late – after the news is breaking). Twitter gets you information as it happens, the Space Shuttle taking off (along with a link to a digital photo of course) or of the snow storm in Colorado. Or tweets from the audience of a conference you could not attend (thanks to tighter travel budgets). Really people, isn’t the electronic twitter of that factoid easier to read, save, use, share or utilize – than if you had travelled to Las Vegas to attend that conference in person? So I wonder what you think of my stance. Facebook is for college kids wasting time, sharing pizza on 3rd floor, and maybe helping people borrow children’s outgrown clothing from teenage chums across town or the state or the US. Twitter just might become an acknowledged learning platform for FAST, efficient and convenient distance learning. IDs deal w/ same data vs aesthetic stand-offs that visual designers do. Just installed Twitteriffic 2.0 – some really great new features. NECC “Unplugged” 09 – 3 days where anyone can present, on-site or virtual. About 14% of adult Americans have trouble reading. The rest are troubled about what they read. Axpect Consulting says 56% of Fortune 500 will use serious games in 2009. June Wired column on Wolfram Alpha is online now. One more chapter in Wolfram’s amazing career. NASA shuttle commander to tweet from space! The National Museum of Middle Ages in Paris is excellent. Mostly everday life during 12th to 16th centuries. Social Media is well on its way to enterprise mainstream. and adoption over the next 12-24 months. expect any kind of enhanced ROI from those activities. Faculty still need to think about knowledge, skills & values. Pedagogy has to precede the technology. Most people can multitask, but they’re not as effective as when they don’t (research says). How is play different for adults, and how does that affect games for learning? Games should allow us to discover something, not just win. Better to fail in a game than in real life, hence such widespread military adoption of training games. Essentially, it’s about teaching brainstorming, systematic evaluation, trial and observation, and honing each time. Games are movies, books, and our own imagination braided together. To make more engaging – connect with the learner’s reality (empathy). Tighter budgets demand creative solutions–sometimes more money does not = better learning! There is sufficient heat around virtual worlds for the enterprise that I believe we’ll see a big uptick in exploration and adoption over the next 12-24 months. I will also bang this old drum on both these items – that if we FAIL to think differently about the learning opportunities that we can redesign using Social Media and Virtual Worlds, then we would be outright stupid to expect any kind of enhanced ROI from those activities. In designing learning games, most organizations don’t like people to be able to fail, yet failure’s a powerful lrng tool. Games are great for learning and assessing skills, more diff to make them for pure knowledge transfer, less fun too. Well, reading one of many magazines I still get in print — I found reference to a term which really made me think long and deeply over this week. Phase was “vuja de” – a play on deja vu of course, but when I did some googling, I found some references to it which inspired me to actually blog about it. I am what some might called “activated” about this, and think that there really might be something here, which could apply to many organizations (my present work environment included) – and that just possibly, the worsening economic situation in the US just might be able to be twisted into a positive business opportunity for those special people who understand and utilize “vuja de” correctly. Everybody has heard of deja vu, right? It’s the distinct feeling you’ve been here before. When you go out to do field work in Anthropologist mode, you should aspire to the opposite: a state of mind my friend Bob Sutton at Stanford calls “vuja de.” Vuja de happens when you enter a situation you’ve been in a thousand times before, but with the sense of being there for the first time. As French novelist Marcel Proust said, “The real act of discovery consists not in finding new lands but in seeing with new eyes.” So if you want to find untapped innovation opportunities, watch the world around you with “fresh eyes.” Go for a sense of vuja de, and then ask yourself why things are the way they are. Why do people wear a watch when their cellphone keeps perfect time? Why don’t movie theaters sell soundtracks as you exit the film? Why do we all have answering machines to record messages from telephone callers, but nothing to record a message from someone who stops by our home or office? Why don’t business guys wear hats in the winter, even when it’s below freezing? Once you start asking the right vuja de questions, you might find that the answers can lead to big opportunities for your business. So readers, if you want to make a project succeed, in these unstable and tough economic times – you might just want to see “the same old things” as something new and try to solve your problems more creatively – you might just make some money doing it! Graphic Simplicity: Focus on the training value & outcomes. Happy New Year to all my readers (both of you). Thought I would post something about a topic, which has been used in many conversations lately, at work and on phone calls I have had lately. Might not be earth shattering, but it is nice to see it in print, and from a solid research organization – and I also like that is nearly “3 years aged” – maybe like a fine wine, it becomes more true with a little age. Lesson Learned #4: Sophisticated graphics are neither necessary nor sufficient for a valuable training experience. Maybe now I can use this quote to backup my efforts toward focusing on the outcomes, and less on the video graphics resolution!